PIMLICO speedway driver Luke Watt will take plenty of confidence into the NSW National Four-Cylinder sedan titles. He is coming off a fifth-place finish in the Queensland titles at the Lockyer Valley Speedway in Gatton earlier this month. 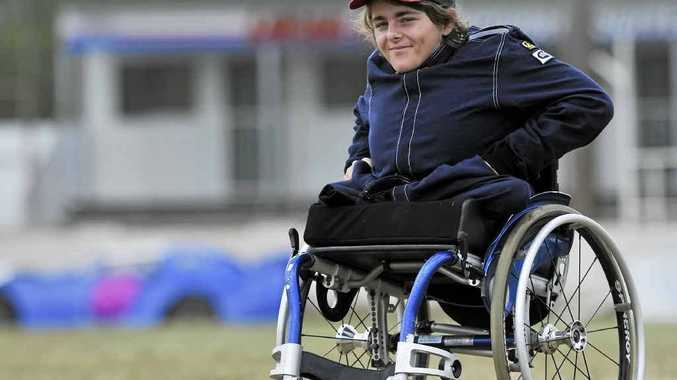 Watt, 19, has been a crowd favourite at Lismore Speedway since he first raced four years ago. He was born with sacral agenesis, a rare birth defect that affects the lower spine and the way the legs are formed. It means he has a specially made car where he uses one hand on the wheel and navigates the accelerator, brake and clutch with the other. Grafton driver Aaron Knox has also had a strong start to his debut season in the four-cylinder events, coming second at Gatton. The 17-year-old was the youngest driver in the field. Watt had his first season in senior competition in 2012-13. He also finished third in the NSW national titles at Grafton last year. The season culminated with him being named NSW rookie of the year in the division. He has only recently started racing in Queensland, with the Gatton trip the first time away from the tracks in Lismore and Grafton. The NSW titles will be at Grafton on Saturday.